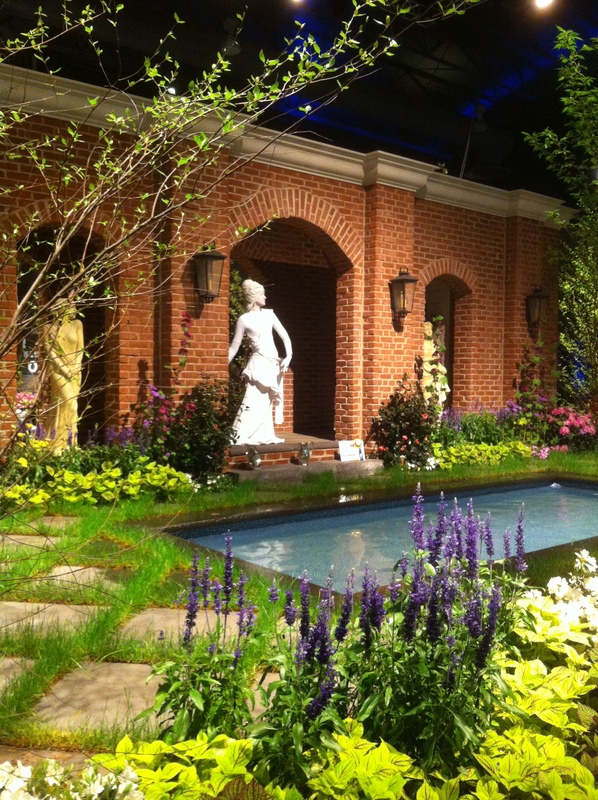 The Philadelphia International Flower Show is the nation's premiere horticultural event, an award-winning destination consistently ranked in North America's Top 100 events; featured in the best-selling 1,000 places to visit before you die; and known throughout the world as a must-see for flower and garden lovers. Joe Palimeno, President President and Landscape Designer of Ledden Palimeno Landscape Company has created three show stopping exhibits at this year’s Philadelphia Flower Show, along with longtime friend, Landscape Architect Larry Bloomfield. The pair have been collaborating on designs for the past 20 years. This year takes exception with the EP Henry Exhibit they created for the 106 year old Woodbury based company. The Statue Garden is one exhibit not to miss. This year we pulled out all the stops and created a living experience where the set turns from day to night and with this, the garden actually comes alive. Fountains spill into the reflecting pool and one of the five Statues performs for 30 minutes. The expressions on the faces and the comments from the people have been amazing. We had hoped for a good response but this has gone over better than expected. The company we hired to provide the living statue actors has been doing this at Disney World on a daily basis for the past few years so we knew we found the right company to partner with. Ledden Palimeno Landscape Company is an award winning Design-Build firm specializing in fine outdoor living, landscape architecture, living exhibits and events. Our design philosophy is to create functional and usable outdoor living spaces that capture the desires and tastes of the client and blend them seamlessly into the surrounding environment and architecture of the house and property. See More Award Winning Exhibits and Events Below! For over 20 years, Ledden Palimeno has been creating show stopping exhibits at the world renowned Philadelphia Flower Show. Ledden Palimeno's award winning landscape magic and creativity continues to delight visitors and patrons at the Northwest Flower and Garden Show in Seattle, Washington! In 2012, his first year as an exhibitor at the prestigous fourth biennial Singapore Garden Festival, Joe Palimeno of Ledden Palimeno Landscape Company took home the top two awards for the Landscape Garden category: "Best in Show" and "Gold." Joe Palimeno returned to Singapore in 2014 continuing his award winning success by taking home the "Silver Award!" 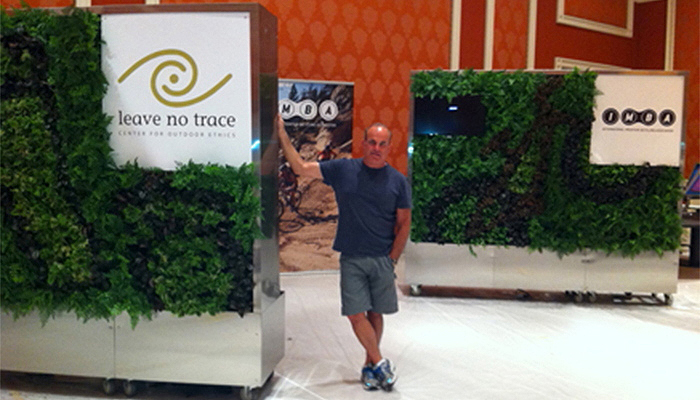 See a "Living Wall" come to life at a corporate event in Las Vegas, Nevada! Ledden Palimeno Living Exhibits & Events can create your own Custom Living Display from Design through Construction.